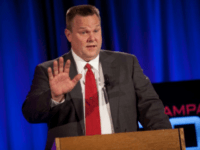 Sen. Jon Tester (D-MT) defeated state auditor and Republican Matt Rosendale in the Montana Senate election on Wednesday, according to the Associated Press (AP). 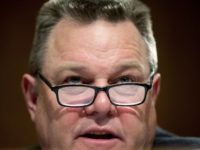 Only 20 people showed up for a Sen. Jon Tester (D-MT) campaign rally on Monday—the day before one of the country’s most contentious U.S. Senate elections. 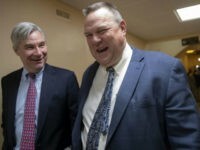 Sen. Jon Tester’s (D-MT) Senate re-election campaign has inflamed controversy several times during the 2018 midterm elections. 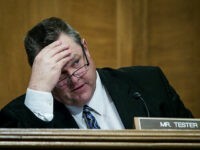 A Change Research poll indicates gun control Sen. Jon Tester (D-Mont.) 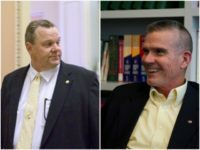 now trails his pro-Second Amendment challenger, Matt Rosendale (R). 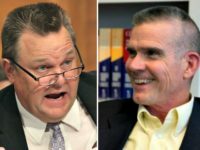 State auditor and Republican Senate nominee Matt Rosendale has taken an 11th-hour lead in Montana over Democrat Sen. Jon Tester (D-MT), surging ahead of the Democrat in the wake of President Donald Trump’s latest rally there on Saturday. 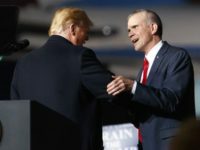 President Donald Trump will hold a Saturday afternoon rally in Montana for Republican Senate candidate Matt Rosendale and Rep. Greg Gianforte (R-MT). This will be Trump’s fourth rally in Big Sky country this campaign season. 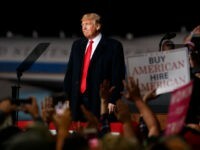 Trump will hold another rally later this evening in Pensacola, Florida, as he barnstorms across the country ahead of the 2018 midterm elections. 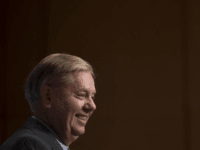 Stay tuned to Breitbart News for live updates. All times eastern. 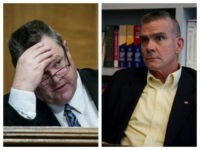 The Senate Leadership Fund (SLF), a Republican super PAC, said on Wednesday that Sen. Jon Tester (D-MT) “lost the ace up his sleeve” after Libertarian candidate Rick Breckenridge endorsed Republican candidate Matt Rosendale for U.S. Senate. 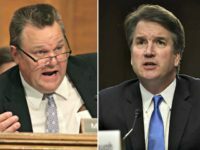 Sen. Jon Tester’s (D-MT) lead in the Montana Senate race has slipped to a statistical dead as Montana state auditor, rancher, and Republican Senate candidate Matt Rosendale continued to surge in the final weeks of the election. 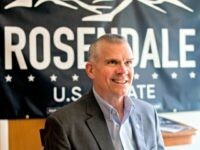 President Donald Trump will hold a Thursday evening campaign rally in Missoula, Montana, home of the Grizzlies, for GOP Senate candidate Matt Rosendale, who is in a tight race against Sen. Jon Tester (D-MT). 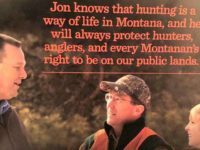 This will be Trump’s third visit to Big Sky country. 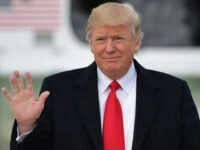 Trump will visit Arizona on Friday and travel to Nevada for a Saturday morning rally. 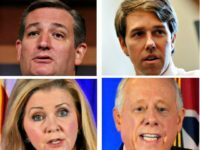 Trump will then headline a Texas rally on Monday. 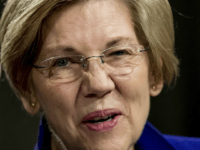 Stay tuned to Breitbart News for live updates. All times eastern. 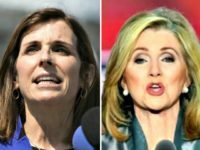 President Donald Trump leaves Thursday for a four-city campaign swing out west to help save the Senate for the Republicans. 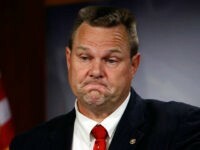 Montana state auditor Matt Rosendale told Breitbart News Saturday that Sen. Jon Tester (D-MT) invented Democrats’ smear tactics and “Dianne Feinstein perfected” Tester’s smear tactics against Supreme Court nominee Judge Brett Kavanaugh. 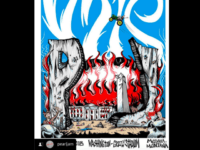 Sen. Jon Tester’s (D-MT) Senate campaign disavowed a Pearl Jam poster for a get-out-the-vote concert on Monday featuring a dead President Donald Trump and an American bald eagle eating the remains of his corpse.